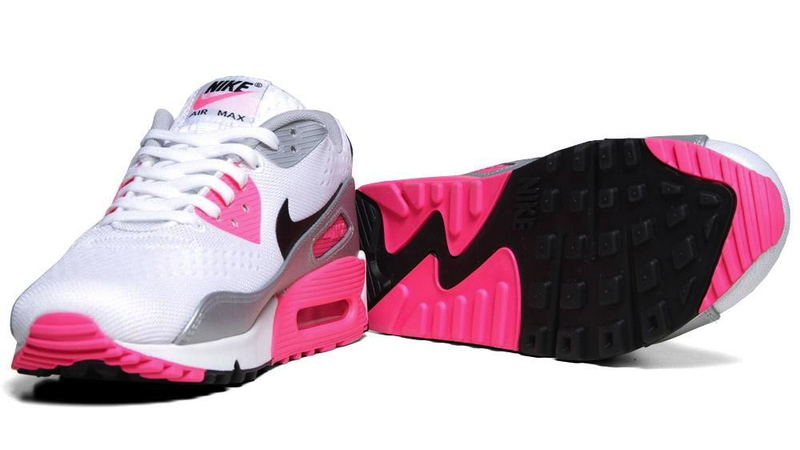 Playing on the classic "Laser Pink" colorway, the new Nike Air Max 90 EM is now available in White / Black / Pink Flash. 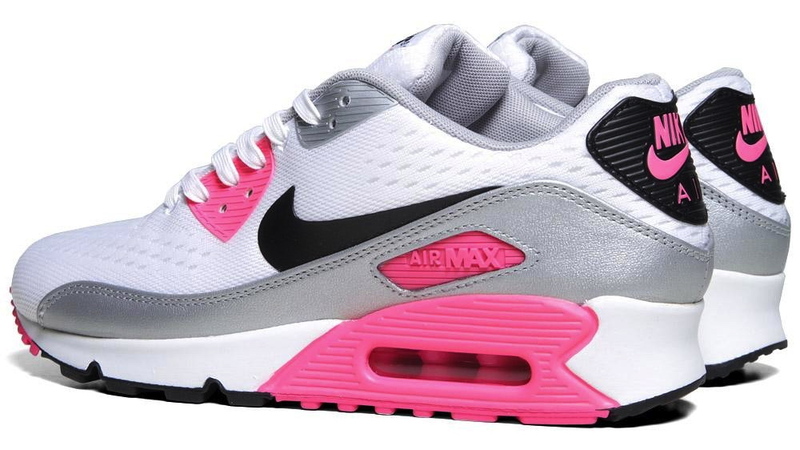 Playing on the classic "Laser Pink" colorway, the new Nike Air Max 90 EM is now available in White / Black / Pink Flash. 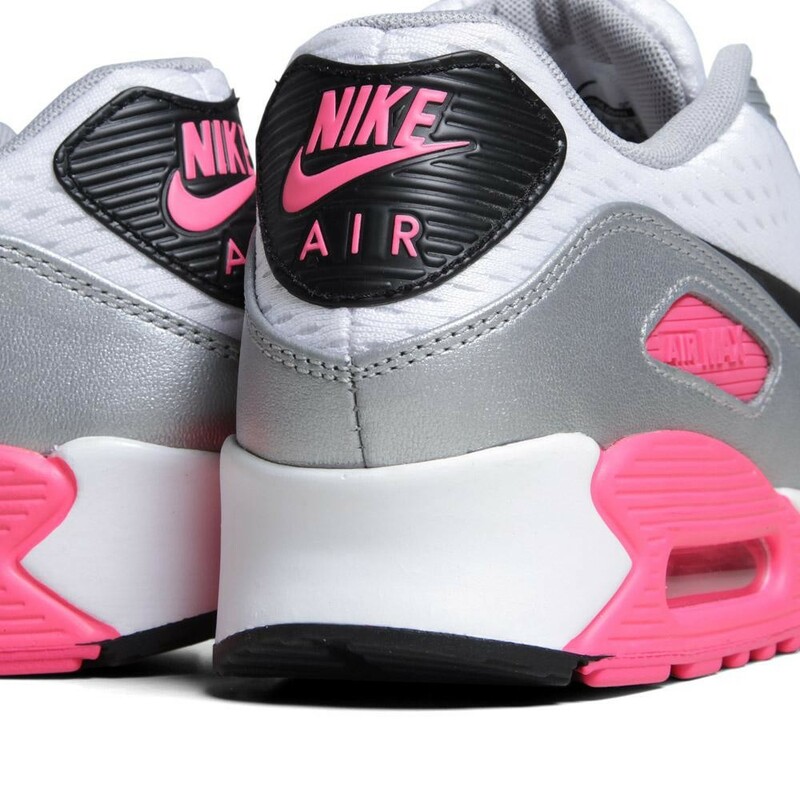 This Nike Womens offering features a white Engineered Mesh upper adorned with silver and bright pink accents. 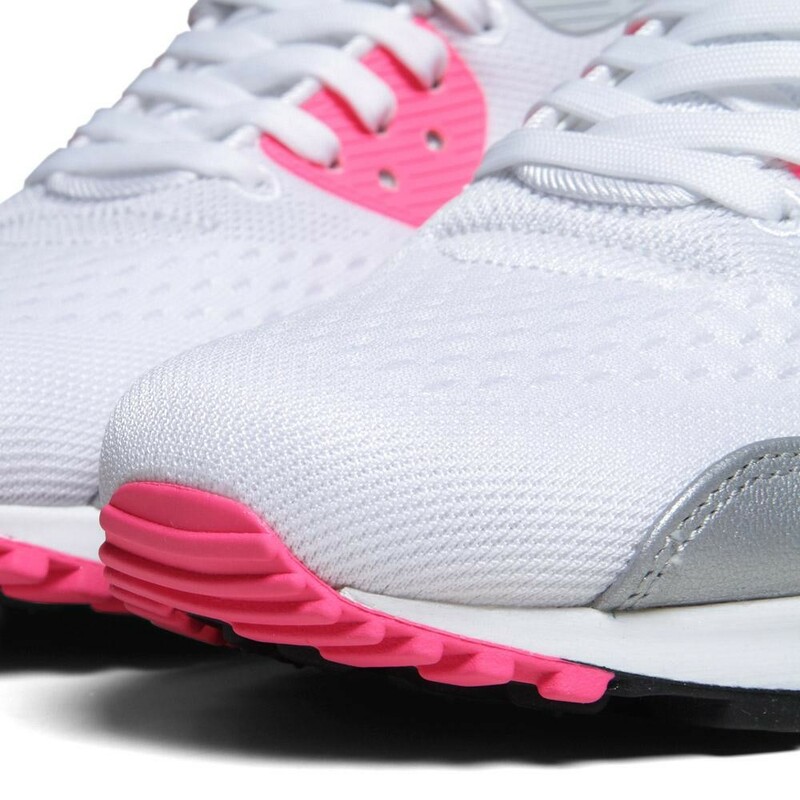 Straying slightly from the original colorway, the modern Pink Flash version utilizes black on the swoosh, heel and outsole instead of the original navy blue. 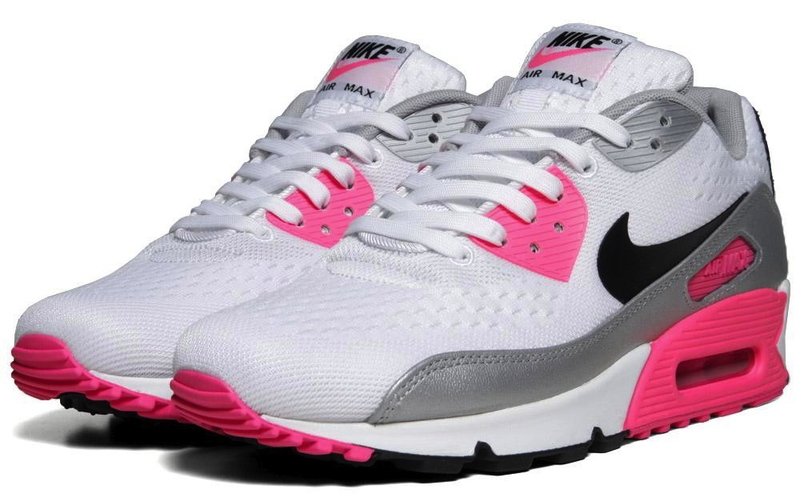 The Nike WMNS Air Max 90 EM in White / Black / Pink Flash is available now at End.